Hey guys, so I am currently hanging in Philadelphia Int’l Airport. I’m off to begin my #HavenVacay with my friend and cohost Amy S. We’re off to check out the wonders of Halifax and Chester. If you want to follow my adventures on Twitter & Instagram, follow the hashtag #HavenVacay. Haven is different this year, yet the same, if that makes sense. But I still love my little show that could. From what we know, the creators and writers have always had a long term plan for the show and this season is a part of that plan. We’ve gotten some answers to a lot of questions, some new questions, and a new big bad in the form of Audrey’s original personality, Mara. Relationships have been tested, characters have been challenged and everyone seems to have their own priorities and mind sets. I have always said that I believe that this show is about Audrey Parker and her relationship to the town of Haven. I still stand by that. This is not the Nathan, Duke, or Dwight show and certainly is not the Guard show. This season is still about Audrey Parker and Haven. The difference now? We’re seeing more of other characters. Is it strange to see as much as we have of Duke and Dwight combined and less of Audrey and Nathan? Sure. But I think there is a reason for that. I really do. Remember when we heard that the characters will all have differing priorities and ideas on how things should be done? We’re seeing that now. We’re seeing what in the past seasons, would probably have been done off screen. And we need to see this. We need to see Dwight being a jerk and thinking he knows what’s best for Haven. We need to see Duke trying to help the town and himself even if doing that means sleeping with the enemy (which let me say for the record, I don’t think he will do but that’s a discussion for another time). And we need to see Audrey continue to struggle with who she is and come to terms with that. We also need to see the struggle Vince and Dave have with what happened to him and where he comes from. We need ALL of this. Why? Because it all ties and connects to Audrey. The story was, is, and always will be about Audrey Parker. Here is my speculation on why this is so important because I really believe it is. Everyone will and has tried to save Haven from the Troubles in their own way. And it doesn’t work, it never works. Audrey has a connection to the Troubles and Haven that makes her the ideal. She said it herself. Her helping the troubled, is all her. Audrey Parker. So yes, I think this is all a set up for us to see Audrey (and of course Nathan by extension) to find a way to save Haven and the Troubled. We’re on a journey and you have to look at each episode as a step in that journey. I think we’re going to enjoy the payoff. We always do when it happens. Many have awaited Audrey and Nathan getting together, and 4 seasons in, it happened. The writers know what they’re doing. They have not lost their long term vision for the show. I know folks want more Nathan and Audrey scenes but it’s hard to give that all the time when there’s a story that has to move forward at the same time. You got to admit then when we do get those moments, they’re pretty good. Give the writers your trust and I think when the journey is completed, you’ll be happy you did. Remember my motto and feel free to adopt it. In the Writers I Trust. ps. Finished just in time to board again. Next stop Halifax!! Pps. What do y’all think? Comments and discussion welcome. 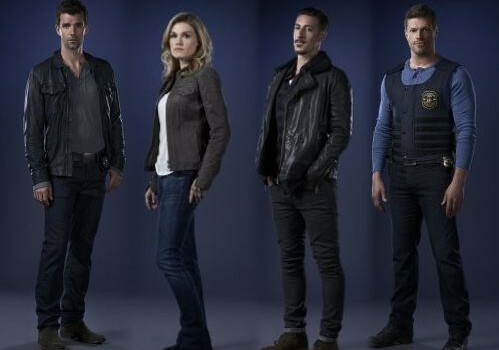 P.P.P.S I’m enjoying the story telling on #Haven5 but 2 things I really miss right now: Duke’s humor/sarcasm, Nathan and Audrey. Look Back – 5×01 – They Flipped the Script! Haven Receives Super-Sized Season 5 Pickup! This entry was posted in Speculations & Thoughts and tagged Tagged: season 5, state of haven on Wednesday, November 19th, 2014 .